A delightfully simple design ring. 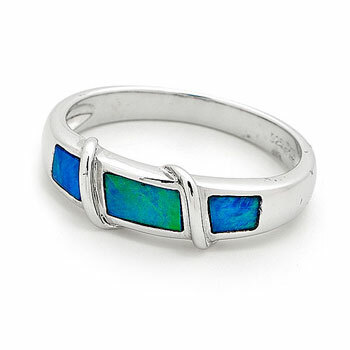 This ring is a popular design in opal jewellery. Its timeless design is also a perfect gift for young and old alike.